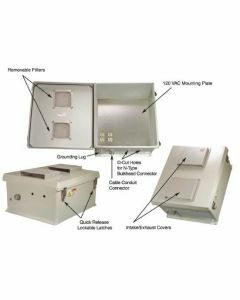 The 14" x 10" x 4" industrial enclosure features a removable power module with two 120VAC outlets. Dual 120V outlets are included. This power module has provisions to install two additional outlets. Cable access to the inside of the enclosure is via three rubber cable glands located on the bottom. 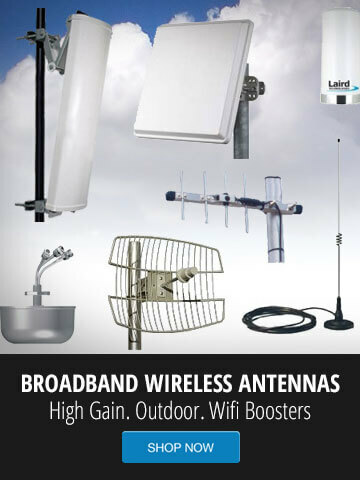 Equipment can be mounted inside the enclosure either by using the included hook-and-loop tape or the four mounting stand-offs. The raised lid features a continuous gasket and a quick release latch with provisions for a padlock. 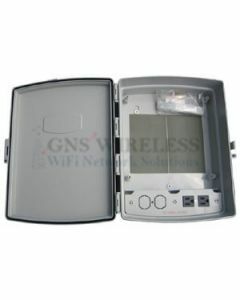 The enclosure material is UV stabilized molded ABS. 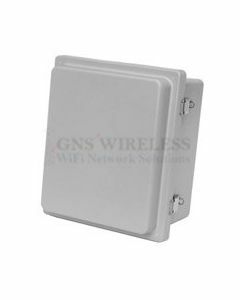 Three mounting holes are provided inside the enclosure for easy installations. 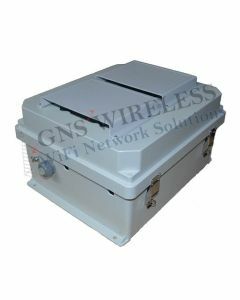 GNS Wireless also provides custom sizes for outdoor electronic enclosures. For more information or to provide sizing requirements, or special requests, please contact our sales department.